St Monans is a village in the East Neuk of Fife and is named after the legendary Saint Monan. 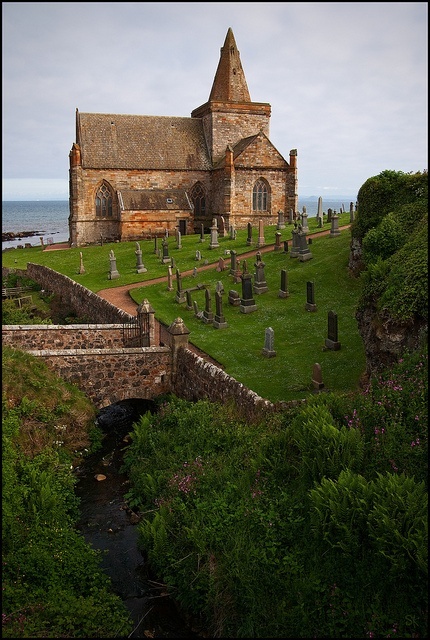 Situated approximately 3 miles west of Anstruther, this small picturesque community, whose inhabitants formerly made their living mainly from fishing, is now both a tourist destination situated on the Fife Coastal Path, and a close knit community with much vitality and vibrancy. The former burgh rests on a hill overlooking the Firth of Forth, with views to North Berwick, the Bass Rock and the Isle of May. St Monans contains many historical buildings, most notably the now defunct windmill (which can be visited) that once powered a salt panning industry, and a 14th century church that sits on the rocks above the water on the western side. Approximately ½ mile west of St Monans are the remains of the once great Newark Castle, a 16th century manor that has since fallen to ruin through cliff erosion and disrepair. In 2002, with the permission of Historic Scotland, an unsuccessful attempt to restore the castle was made.